iPad Apps for visually impaired are designed meticulously to aid blind and other visually impaired people. Some of these apps can augment daily chores while the others are purely for entertainment purpose. Irrespective of what they do, we have collected 10 Best iPad Apps for Visually impaired. Technology has barely left any field untouched and almost consolidated every walk of life with every passing day. There are technologies at half the price and double the power and functionality than their respective predecessors. And judging by the efforts of developers and technology giants, all the credit cannot be given to Moore’s law after all. Apple iPad is no exception to all this adulation, especially because it pioneered the unique tablet market and opened doors for other powerful tablets. And when it comes to iPad “An App for everything” seems to be its forte which brings us to best iPad Apps for Visually impaired. No matter who you are or what you do, money is always the biggest factor. With this assistive technology app for iPad one can simply scan a Bill with iPad’s camera and the app does the rest. 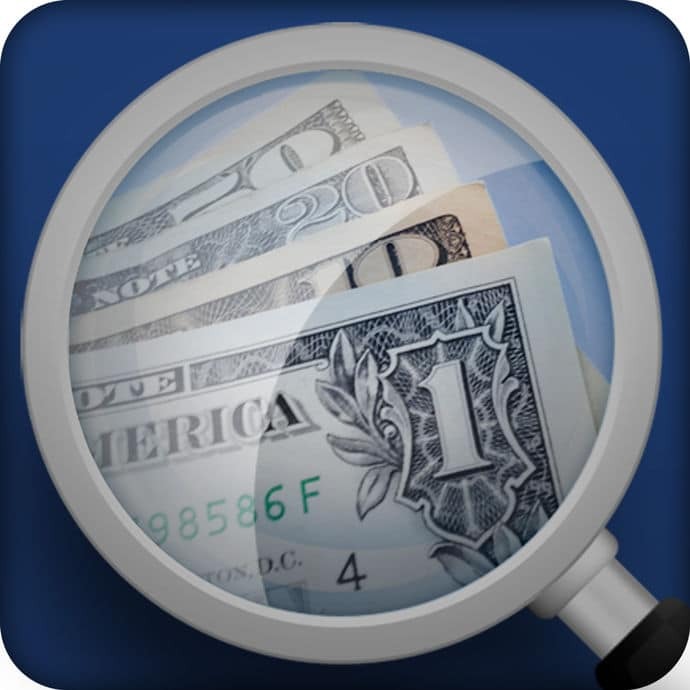 The app then speaks out the denomination for a quick Bill identification and counting. The only problem though is that it is no good in poor light. This app can read off text from Menus, medical records or any such other physical text document. All you have to do is to align your iPad’s camera in the same plane as that of the text you wish to read and then move it around until you hear a beep, this beep confirms that the images are in the frame. The app then takes the images, analyses it and reads aloud the contents thereof. This augmented reality app scans real-time colors around you and converts it into accurate respective voice name for easy and quick color recognition. The color names are specific and can even be used by children to widen their color vocabulary. Ariadane is an efficient navigation app for visually impaired, you can navigate by tapping on streets and the app presents voice direction for quick exploration. Additionally, the app vibrates your iPad after you cross a street and can announce bus or train stops. It has a few other quality features and works in various languages for an effective navigation wherever Google Maps work. Finding windows, doors to navigate around home or cars, buses while on roads can be daunting for visually impaired and that is where this app comes to rescue. You can point your iPad in the direction you want to move, and the app analyses the light strength to reach a conclusion by beeping a peculiar sound depending on the intensity of the light. This app in conjunction with labels enables you to voice tag things like DVD collection, locating boxes during a move, or jars in your refrigerator. A simple, but a really handy feature to have on your iPad. You can record up to 1 Minute of voice tag and then use it over a variety of things ranging from greeting cards, photo albums, scrapbooks to invitations, yearbooks and more. Voice Brief is one of the most used iPad apps for visually impaired especially because of its effective functionality. It begins its awesomeness where the Siri stops. It can read off your Calender entries, weather, RSS, Email, Facebook, Twitter and seven stock prices to keep you updated all the time. This app can detect motion and alarm with either a mellow tone or an aggressive alarm to avoid startle. It can be used to secure yourself from perturbing sneaky colleagues or children or “really loud” pets around your home. For learning aficionados, this app has just the right solution. It has an extensive library of more than 70,000 audiobooks of all K-2 and College Level Textbooks. The reading can be adjusted according to speed, voice, page number and the electronic bookmark placement makes it a must-have iPad App for visually impaired. This App brings back the all retro walkie talkie to your iPad for a fun voice communication. You can invite a friend or a colleague to this app via email and once they accept your invitation you can begin walking talking. All you have to do is, hold a button, speak whatever you want to communicate and when you release the button the communication is automatically forwarded to the respective counterpart. In this section, we have collected a comprehensive list of entertainment iPad Apps for visually impaired. There are many apps designed specifically or with emphasis on visually impaired candidates but we have only collected few of the very best. An easy voice-over navigation and gameplay is bound to keep you coming back to this awesome Role Playing game. 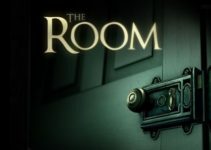 The game-play is both simple and immersive, especially with its mystic storyline. If you are more into strategy and traditional games like the Chess, this voice-over enabled iPad app has you covered. 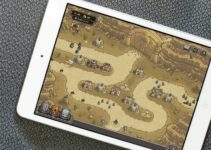 You can play over 78,000 games from the comfort of your iPad with voice commands. The best part is that the app is feasible for both prodigies and beginners, especially with its extensive tutorials. This voice command enabled app put your reflexes to work with its dexterous gesture input. In order to build a high score or at least beat this game, you need to input gestures as quickly as possible after the instructions spurt out. Go retro with these voice-over nostalgic games designed exclusively for visually impaired with curious De Seno Game interests. Among the included games are Atlantic City Blackjack, Casino, Dodge City Desperados, Destination Mars, Run for President and Sounds Like. The games pretty much work like a complete retro DOS model, where you have to input commands based on options provided. If you are looking for a game that is addictive, simple, entertaining and not a complete waste of time, this app is just the right thing. You have to build words based on numbers given to letters and if you are right you move up but in case you make your own word, a “wordle” you will be dragged down to low, reviled score. 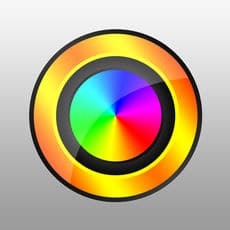 If you like our 15 Best iPad Apps for Visually Impaired or have any suggestions please mention in the comments section.